The PRS invites you to an illustrated lecture by Dr Colin Cruise on “Starting with Illumination: Rossetti, Burne-Jones and medieval painting”. Saturday 18th May 2019, at 11.00 am (Reception from 10.30 am) John Peek Conference Room, Birmingham & Midland Institute, 9 Margaret Street, Birmingham. B3 3BS. This talk revisits the topic of medieval illumination as an inspiration for Dante Gabriel Rossetti's 1850s' watercolours, examining some of the inspirations for his ground-breaking sequence of works, chiefly on Arthurian themes. Attention then turns to Burne-Jones's first drawings and watercolours in which Rossetti's generalised 'aesthetic' of illumination is transformed - rather than simply copied - by the younger artist. The paper compares and contrasts works from these phases of each artist's career to analyse the significant differences that medieval illumination inspired in their imaginative practices. Admission: £9.00, payable in advance. Friends are welcome. The BMI Coffee Lounge is open for business from 10.15am. No event/entrance tickets are issued in advance of the lecture so pre-booking for lectures is advised. The Society reserves the right to allocate places on a first come – first served basis where demand for places exceeds venue capacity. 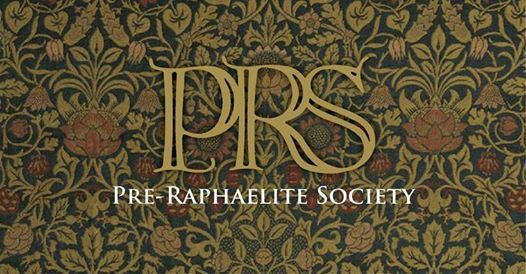 Please make cheques (1 cheque per event please) payable to ‘The Pre-Raphaelite Society’. Send with the detachable slip to: Chimaine Ross, Events Secretary, 25 Mappleborough Road, Shirley, Solihull, West Midlands, B90 1AG before 11th May 2019.